Shopping for a new home can be an exciting experience for many adults, but for kids, the prospect of changing homes and schools can be nerve-wracking. Helping them envision a cool space that’s just for them is a great way to get them excited for the big move. Besides the 3-story waterslide, resort-style pool and playgrounds, here are a few things at Shearwater that are sure to get your kids hyped about their new home. Especially if you’re purchasing your first home, this might be the first opportunity for your kids to really personalize their space. Let them choose a vibrant accent wall color, hang string lights or lanterns, stick up decals of their favorite sports teams, or pick out bean bags for a cozy reading nook. Especially if you have older kids or if your kids are used to sharing a room, this can be a huge selling point. Upgrading to a room with more square footage can help them feel like they’re growing up and gaining independence. Plus, spacious closets allow for more room for clothes, toys and sports equipment, but most importantly, hide and seek. 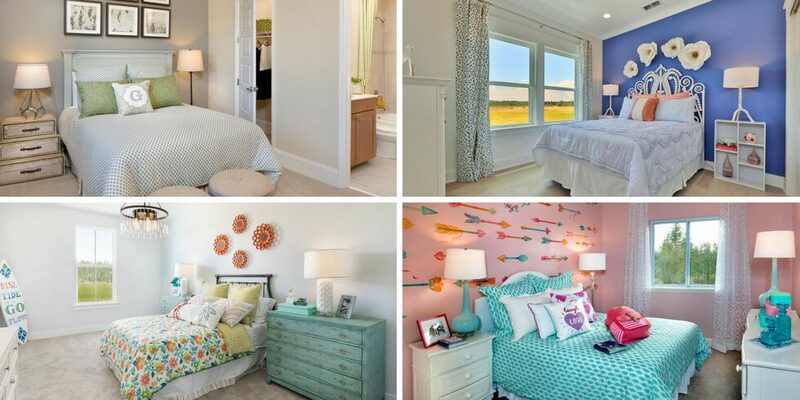 In some floor plans at Shearwater, the secondary bedrooms are all located upstairs – making for a cool kids-only area. For littles, this could mean more space to set up epic forts or Hot Wheels tracks between rooms. For teens, this means more privacy and personal space. Speaking of a kids-only second floor, many of the two-story plans at Shearwater feature a loft or second living room on the upper floor. Kids of all ages love having their own communal space to hang out, have friends over, play games and watch movies together. And as an added bonus for you, it helps contain the mess upstairs and out-of-sight. This might not be something the little ones care about right away, but as they get older, they’ll definitely appreciate the additional privacy their own bathroom provides. Plus, individual bathrooms mean less bickering over counter space, hogging the mirror and whose turn it is to shower. Shearwater was designed with every member of the family in mind, from the homes to amenities to lifestyle programming. To learn more about what Shearwater has to offer, schedule a tour or join our Interest List to receive news and updates.